Are you on Periscope yet? Periscope is a new live-feed video platform that allows you to interact directly with your viewers through real time broadcasts that open the avenue for two-way, authentic conversation. It can be a powerful marketing tool that validates your business and services by offering a trusted human connection via immediate access to your life and business. Give your market a window to your day-to-day, product and service offerings and the personality and passion behind your business. Getting started with Periscope is very simple and can be very effective with just a few simple steps – Here’s how. In order to use Periscope, you must have an active Twitter account. If you don’t have a Twitter account yet, take a moment to thoughtfully consider a username that will be a strong reflection of your brand and easily identifiable by your audience. Keep a high level of consistency across all social media channels that you participate in and try to mirror the naming conventions you have used on other platforms. 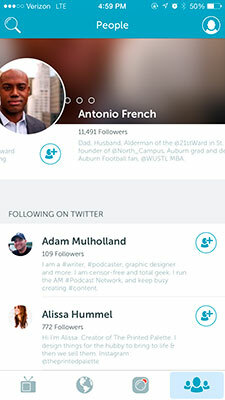 Once you have populated a Twitter profile, you can download the Periscope app from the App store and sign in with your Twitter username and password on your phone. 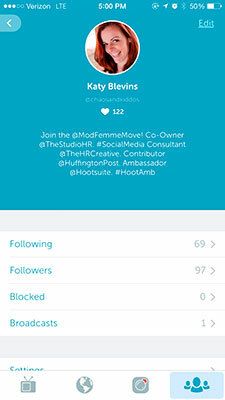 Your Periscope profile will draw directly from your Twitter profile, so be sure your profile headlines are captivating and compelling – This is prime real estate! Once you’ve downloaded and set up your Periscope app, it’s time to start connecting with your audience. Take some time to follow like-minded peers and tune in to several broadcasts to get a feel for how others in your industry are engaging with your market and what kind of feedback they are receiving. Choose a private broadcast to share with specific followers to practice your online personality and presentation, so that you’ll be comfortable and communicate with ease when it comes time for your first public broadcast. 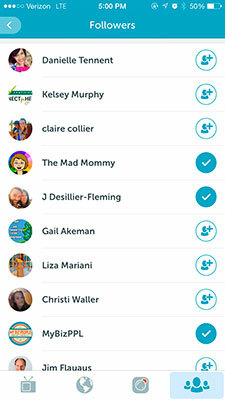 The first time you broadcast on Periscope, a notification is sent to all Periscope users that there’s a new kid on the block and they might want to hop in and check it out. Be especially thoughtful when it comes to what you present during your first broadcast, so that potential followers quickly understand your platform, brand and what they can expect to gain by tuning in to your live feed. Create a link to share via Twitter in order to reach a larger audience while you build your follower list on Periscope. Let them know you’ve hopped on board and are getting ready to go live! 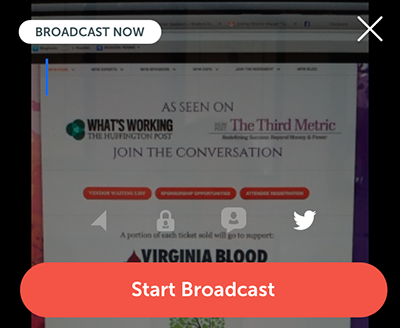 Click on “Start Broadcast” and you’re ready to share with the world! 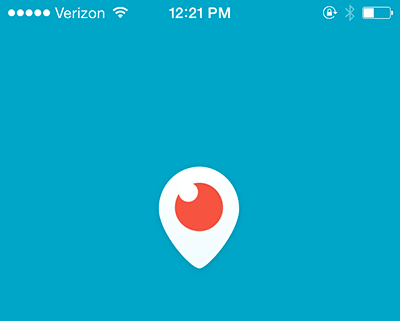 Don’t be discouraged if your first several broadcasts are barely attended by other Periscope users. Similar to other social media platforms, it can take a bit of time to get the ball rolling and it often feels like you’re talking to yourself while you wait for others to notice you. Somehow it feels more personal and playground “cool kids club” because it’s just you, your phone and a camera recording your voice for all to hear – and no one is tuning in. Be patient and be diligent. Once the ball starts rolling, it picks up speed very quickly! Once you have established a bit of a following and are seeing some positive results, it’s time to consider the best strategy for building your audience. While short term growth is expected to be slow, once you get moving, it’s important to keep momentum and do your best to capitalize on exponential growth. 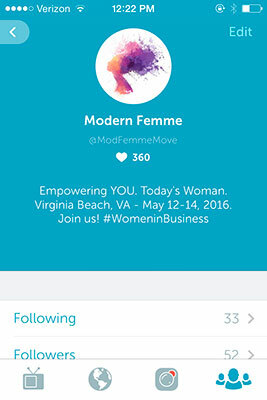 Continue to follow and tune in to fellow Periscope users who share similar interests (or are competitors). Stay abreast of how they are communicating with your marketplace and take note of any topics or broadcast styles that perform well (or fall flat on their face!). 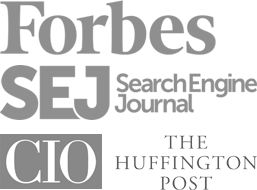 Stay in the know when it comes to the personal needs and hot topics of your audience. Speak their language, address their needs directly and let them know your live video feed isn’t about boosting your ego, it’s about quality customer service and authentic engagement. Regularly invite your followers and fans from other social media platforms to follow you on Periscope, and release an announcement on your website or blog announcing your plans for what you’ll be broadcasting on Periscope and where your audience can find you. While businesses must be proactive to hop on board with Periscope to keep up with competitors, your consumer base will consist of late adopters that will continue to enter the Periscope airspace over time. Keep an announcement handy to make sure new users have an opportunity to explore and connect. Give interested followers the opportunity to plan in advance and make themselves available when you go live instead of running the risk that comes with trying to catch them on the go. Develop a weekly routine or “air time” that your followers can regularly participate in and look forward to – meet your marketplace where they are at and adjust your presentation to seamlessly integrate with their busy lives. 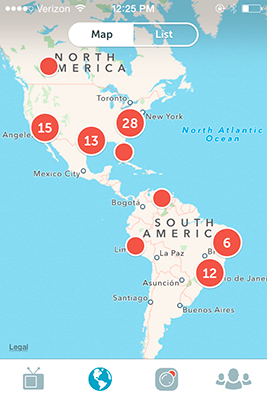 Periscope is a game-changer that will continue to take the online arena by storm. Marrying the human element with deliberate marketing strategies takes the idea of blogging to a whole new solar system. Don’t be late to the party and hop on now to lead the way as the platform continues to gain momentum. Shake off your stage fright and pick up that phone. It’s time to go live!